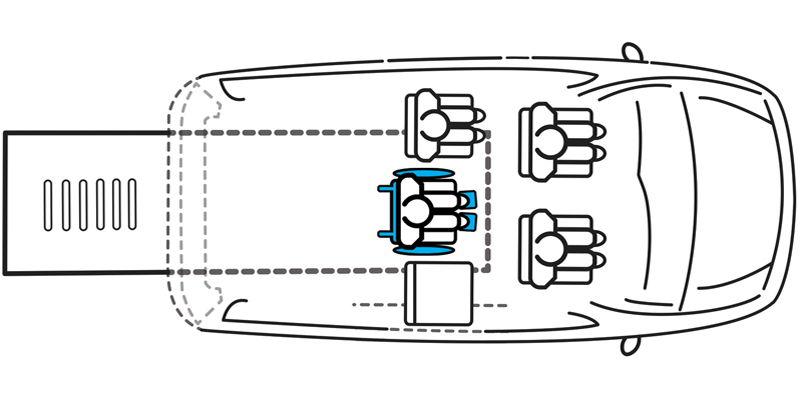 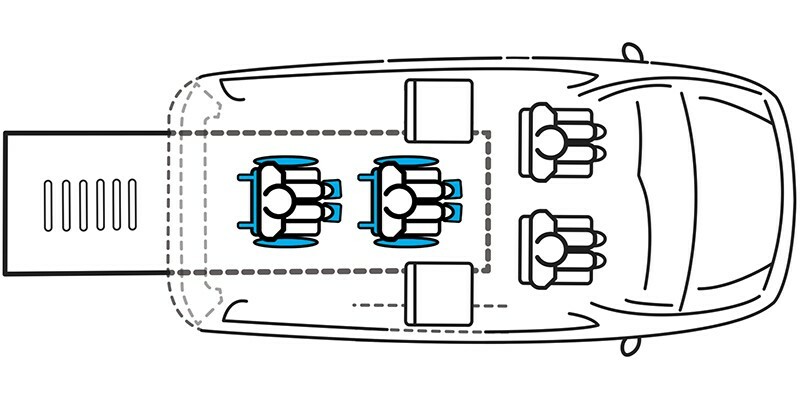 The two middle seats are situated on either side of the AMS Vans Edge II's long channel, and can be slid left or right to comfortably accommodate most wheelchair sizes between them. 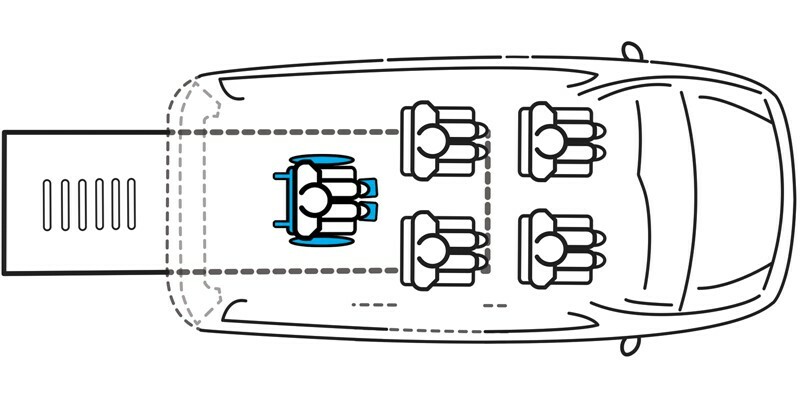 Some conversion manufacturers mount these seats right against the wall of the minivan, rendering the vehicle's side-impact curtain airbags far less effective in the event of a collision. 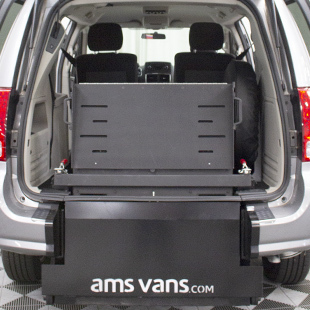 AMS Vans considers passenger safety of the utmost importance, so we give you the ability to securely reposition this middle row. 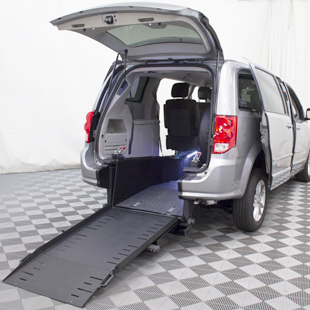 With optional jump seats installed, the Edge II can transport additional passengers. 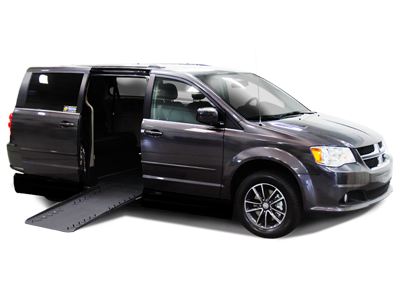 For the Edge II long channel rear-entry handicap van conversion, we start with late-model Chrysler Town & Country or Dodge Grand Caravan model minivans 2009 and newer. 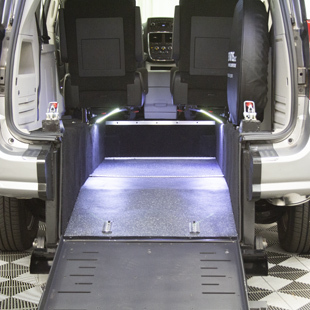 Each previously owned model due to receive this mobility van conversion undergoes a 134-point inspection before, during, and after the modifications. 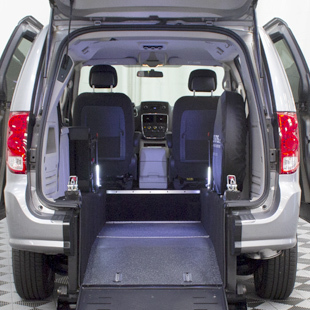 To manufacture one of the strongest and safest wheelchair accessible minivans on the road, AMS Vans has to start with quality! 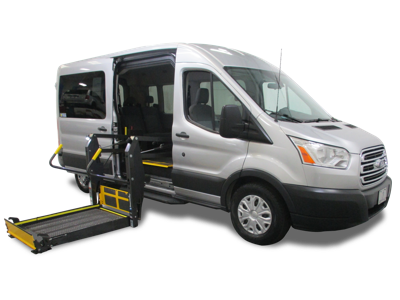 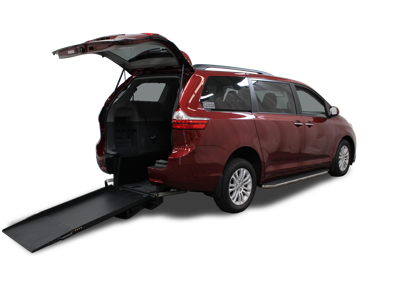 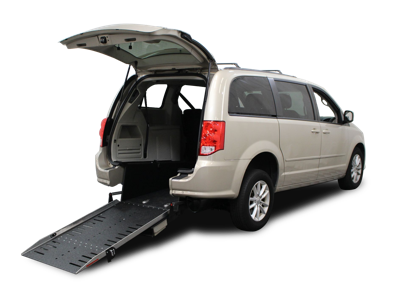 If your family has more than one wheelchair user, or if your office or clinic needs to transport several non-emergency passengers with and without disabilities, consider the ADA-compliant AMS Vans Edge II long channel rear entry handicap van conversion. 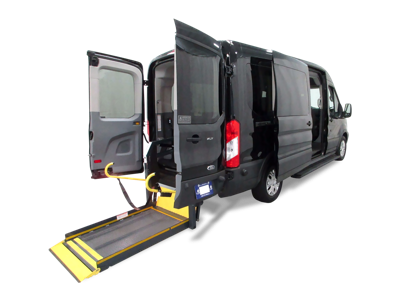 AMS Vans includes a free set of Q'Straint M-Series wheelchair-tie-downs with every newly modified AMS Vans rear-entry handicap van. 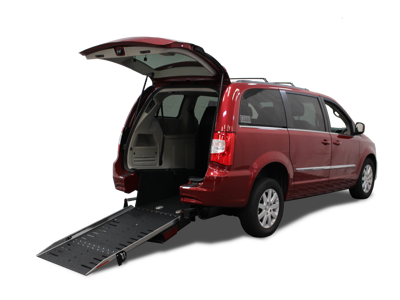 Call an AMS Vans mobility consultant today! 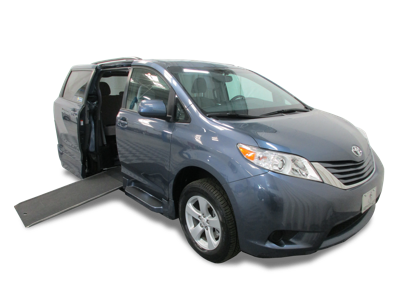 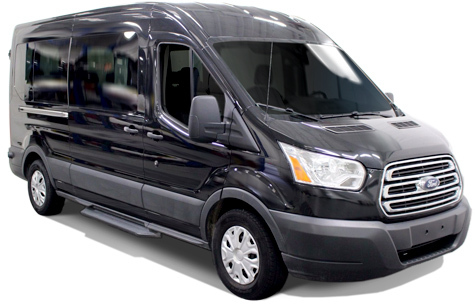 If you're unsure if the AMS Vans Edge II or another of our handicap minivan conversions is right for you, take a look at our rear-entry vs. side-entry wheelchair van comparison chart.